Jay McKeen, dealer-principal at Jack Carter. Photo by Riverwood Photography. At a time when beehive hairdos and wide lapels were the rage, the most coveted accessory didn’t come from Jackie Kennedy or Steve McQueen. It came from Jack Carter. Calgarians flocked to Jack Carter Chev Olds to get a look at the latest models and over the years the dealership has put more than 100,000 people behind the wheel of a new, leased or pre-owned vehicle. Carter established his Chevrolet dealership in 1962 on Macleod Trail and soon moved into the iconic location on the corner of Glenmore and Macleod Trails where it flourished for decades. 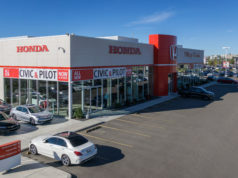 Since its inception more than 55 years ago, the dealership has evolved to become Jack Carter Chevrolet Cadillac Buick GMC to incorporate additional brands and has expanded its services to provide the very best to Calgary customers. “Both Chevy and GMC have some pretty exciting plans to enter into new market segments where they are not currently offering products,” says Jay McKeen, dealer-principal at Jack Carter. With its broad and impressive selection of SUVs, crossovers, trucks and cars, Jack Carter has something for everyone who walks onto the lot. The push to further expand its product offerings as well as its service capacity at the 29th Street SE dealership coincides with another monumental change coming to Jack Carter. Construction is underway on an exclusively Cadillac dealership at Meadows Mile near Blackfoot and Deerfoot Trails. In 2015, General Motors announced the shift away from Cadillac being integrated within broader dealerships and toward a stand-alone dealership dedicated to the luxury brand’s product lineup. In keeping with this mandate, the Jack Carter team searched out the perfect location. Meadows Mile has quickly become the only place Calgarians need to go for luxury vehicles, and Cadillac’s fantastic location is a stone’s throw from the Porsche, Lamborghini, Mercedes, Lexus and Ferrari dealerships. 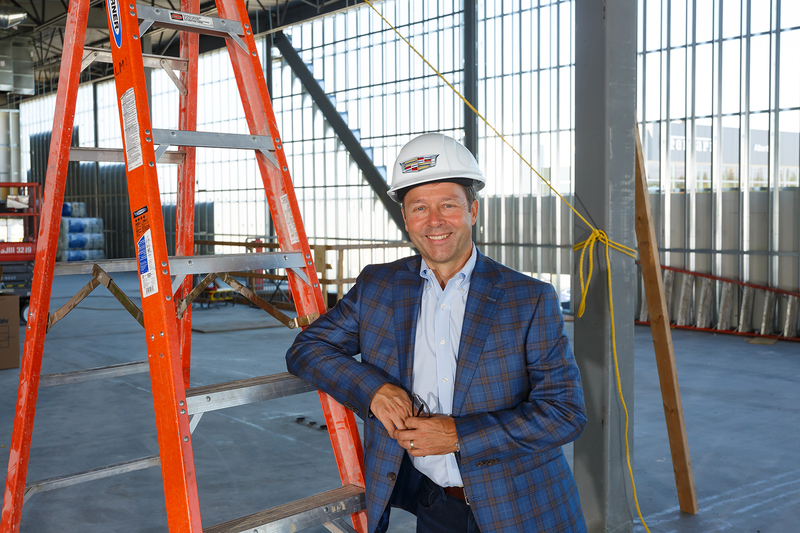 The Carter Cadillac dealership will be the first in North America and only the second in the world to incorporate Cadillac’s new vision for the brand when it opens late this year. “The luxury market in automotive has been one of the fastest growing segments in not just Canada but North America and we want to position Cadillac to take advantage of that,” McKeen says. The corporate vision, tagged “Dare Greatly,” has Cadillac poised to not only introduce new and improved models but to enter market areas in which the brand isn’t yet established. It is pushing the limits of engineering and imagination to surpass the German and Japanese luxury brands in quality, performance and above all else, service. What truly sets Cadillac apart is the experience, and the new dealership will redefine what it means to buy a luxury vehicle in Calgary. The new facility will have a virtual reality room that allows customers to experience Cadillac products even before they are released. Customers can get an idea of features and capability in advance, helping them determine if the product is something they want to consider. But it’s not all business. To complement the challenge for people to “Dare Greatly,” customers can experience a bit of adventure and excitement while they wait for servicing. “Cadillac has been supporting doing these adventurous things and stepping out of the box, so we thought why not let someone virtually climb Mount Everest or drive the Paris Dakar Rally? If you’re going to sit for an oil change, you may as well Dare Greatly,” he says. This isn’t the only innovation integrated into the 50,000-square-foot state-of-the-art dealership. With the advancement in electric cars, Carter Cadillac will be equipped with everything from specialty tools to charging stations to Cadillac-trained specialized technicians to accommodate the growth in that market. Also, at both the Jack Carter and Carter Cadillac locations, electric models will be charged using solar panels to further reduce their environmental footprint. The full-service facility brings the outside in too, as it offers new and pre-owned luxury Cadillacs in a unique and beautiful location. “We have a marvellous location that is right on the bluff and we really felt that it should be a two-storey showroom rather than a single-storey one,” he says. The second storey will showcase more than the views. It will be home to Cadillac’s new electric vehicles along with the exciting line of high-performance V-Series vehicles. With Cadillac’s involvement in the U.S. racing circuit as well as its dedication to green energy, McKeen felt it was important to highlight these two special categories of cars. The basement level will celebrate the storied history of GM with a collection of classic cars. It’s a car enthusiast’s dream seeing muscle cars like GTOs and Camaros, classic pickup trucks, and the jewel of the collection, a 1954 museum-quality Corvette, all in one place. The dealership’s main level will showcase Cadillac’s newest models with a wide selection of vehicles on the lot. And the selection is truly impressive. This experience ensures that customers are well informed and that they get the right vehicle for their needs, even if that ends up not being a Cadillac. The priority is achieving customer satisfaction through integrity and credibility, which means no pressure sales. The team is committed to Customers for Life and they know that if they treat customers well, they will come back again and again. “No one sale is important enough to compromise the overall philosophy that we’re trying to implement,” McKeen says. This philosophy was started in the 1960s with Jack Carter and continues to be the cornerstone of the existing and new dealerships. After all, the simple formula of “customers first” is a winning one. By applying it, Jack Carter Chevrolet has doubled its growth across all metrics over the past five years and is being recognized for its unique way of doing business. In 2017, the Canadian Automobile Dealers Association recognized Jack Carter with the Laureate Award for business innovation. This award celebrates the dealership’s commitment to providing quality service in order to keep Customers for Life. But Jack Carter takes it a step further by applying the same standards to its team to ensure the dealership has the most stable, consistent and knowledgeable staff so it can provide the highest possible level of service. “We need them to be trained better than anyone else, to be more knowledgeable. We need them to be people we can count on and empower to make decisions. In order to do that, we can’t be changing people over all the time,” McKeen says. To achieve this, Jack Carter initiated a process called Hire Slowly during which management looks at not only the qualifications and experience of potential employees but also at their personality and character. This helps determine if they would be a good fit with the culture and the staff to perpetuate the positive, enthusiastic workplace environment for which the dealership is known. By ensuring the right people are hired, Jack Carter is encouraging long-term employee retention and satisfaction to keep “employees for life” as well. Hiring began nearly a year before Carter Cadillac was set to open to ensure the new dealership has the right team in place when it launches. While it’s not always easy to implement, the process is definitely paying off. “Our turnover rate is about one-third of what the industry standard is, which gives us credibility when we say we get the best employees. The turnover rate indicates that we are walking the talk,” he says. The Laureate Award also recognized that the dealership walks the talk when it comes to charity and community support initiatives as well. Through Carter Cares, all 110 employees were allotted $200 to support a group or charity in 2016. 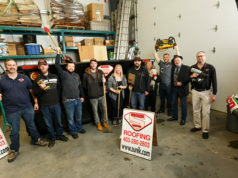 At the end of the year, nearly every employee had supported a cause close to their hearts and the initiative has continued to be a way for Jack Carter to support organizations connected to its team. Whether staff supported an established charity or pooled their resources to help an employee’s neighbour get a new electric wheelchair, each employee supported the community and made Calgary a better place to live. 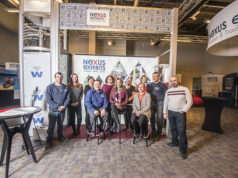 “It’s those initiatives that I’m most proud of and it gives a flavour of the culture that we try to have here at the dealership,” says McKeen. That culture has created a dealership with great service, knowledge and selection to better serve Calgary customers. Whether customers are looking for a small electric commuter vehicle or a powerful pickup truck, a roomy SUV or a luxury vehicle, one thing is certain: they will have a great experience at Jack Carter Chevrolet Buick GMC and Carter Cadillac.